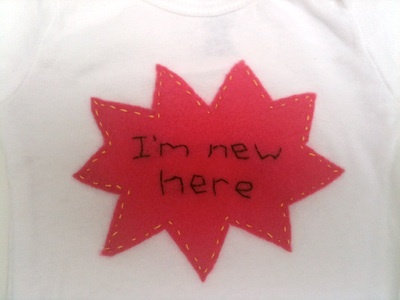 "Im New Here" Onesies. For the newest little human in your life! Holy crap, I love this! I'm so mad I didn't see it sooner because I just had to go to a baby shower!